Plastic Surgery in Italy Rome - Fabio Fantozzi M.D. Clinic Fantozzi is a clinic for cosmetic and plastic surgery located near the famous Trevi Fountain in the astonishing historic heart of Rome, the Eternal City. Our clinic is a modern state-of-the-art facility which is well-appointed, while respecting the classical and acclaimed Italian style. At Clinic Fantozzi you will find yourself in a peaceful setting where every measure is taken to ensure that your surgery is a complete success. Every procedure is performed in a safe, controlled environment and a team of specialists is always at your disposal, this under the guidance of Dr. Fantozzi. We greatly value the importance of knowledge and will always make sure to keep on developing ourselves in order to keep up with all the latest innovations and surgery techniques. This in order to comply with the guaranteed quality and to achieve your desired aesthetic results. 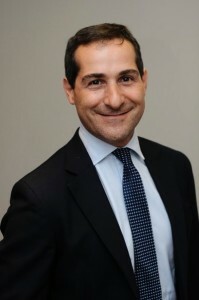 Dr. Fantozzi's extensive training and expertise in the field of cosmetic and plastic surgery have even made him one of Italy's leading cosmetic surgeons. Health, beauty and harmony are the main focuses at the practice of Dr. Fantozzi. Our goal for every procedure is to create the most natural looking result and restore aesthetic balance, harmony and beauty while the health and safety of our clients stays always paramount. So why would you have your cosmetic or plastic surgery in Italy? The first documented rhinoplasty procedure was performed in Italy in 1500. In fact, there is a strong plastic surgery tradition in Europe and some of the most talented medical professionals have studied and trained here. Italy has a long history of groundbreaking innovations in plastic and cosmetic surgery, so you can rest assured that you will be receiving the highest quality care. Besides that it is important to keep in mind that plastic and cosmetic surgery combine both art and science. Successful cosmetic and reconstructive surgeons have a strong sense of aesthetics. From Michelangelo to distinguished surgeons as Tagliacozzi and Pieri, few cultures have contributed more to the world of science and art than Italy. Having your surgery performed at the practice of Dr. Fantozzi in the historic center of Rome means you will be benefiting from the unique Italian appreciation for, and sense of, aesthetic beauty. Whether you live in Italy, or are coming here on vacation, having your cosmetic or plastic surgery at our clinic will let you enjoy the rich history, beautiful climate and breathtaking scenery while achieving your aesthetic ambitions.